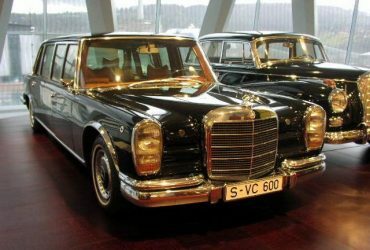 The Mercedes W210 was produced between 1995 and 2003 where in that time, there were 35 different models. The W210 was the successor to the W124, which is arguable one of the greatest Mercedes Benz model created. 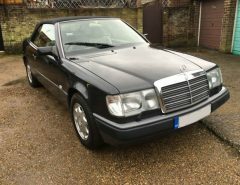 Now that the W210 is over 10 years old, depreciation has already hit and prices are very reasonable for a large Mercedes Barge. So should you consider a Mercedes W120 E Class as an Everyday Car? Extreme Value for Money – You can pick one up from as little as “Scrap Value” (~£200) or excellent examples (non AMG) for around the £2000 mark. The basic specification is excellent but many include heated & memory electric seats, sunroofs and much more. Availability of Spare Parts – Due to mass production and other reason such as the scrappage schemes etc, many breakers are stripping parts, which are widely avaible on eBay, GumTree and other part websites. Performance for Peanuts – The E300 Turbo Diesel was the fastest production diesel car in its time, with 177bhp and a whole lot of torque. These can be easily chipped or turbos changed for increased power. The E430 has 275bhp and is arguably the one of the cheapest V8’s with performance and reliability you can buy today. 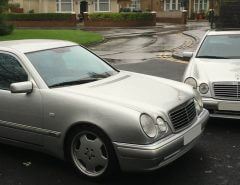 These two examples can be bought for less than £500, which is easily within the “daily car” budget. Rust, Rust and More Rust – The most common problem with the majority of W210’s on the market today is RUST. Rust mostly occurs on all arches, boot lid (normally around keyhole), edges of doors, front spring perches and many more. 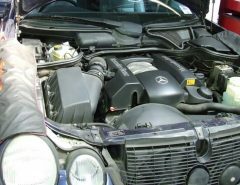 Injector Problems – If you are unlucky to purchase a W210 with faulty injectors, you will be looking at paying approximately £125 per injector. EIS (Electronic Ignition Switch) Issues – Again, you’d be unlucky to occur an EIS fault, but when they do fail, a replacement would set you back between £300-£500. Which W210 Model to go for? As we are only considering daily/everyday examples the W210 E55 AMG will be excluded due to being above the “daily car” budget and needing to take a mortgage out for the fuel costs. 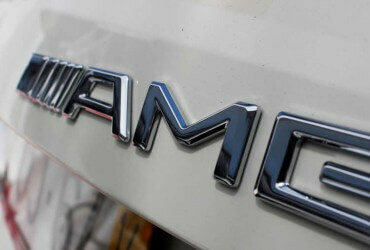 If diesel is required, both the 320 CDI and 300 Turbo Diesels are excellent. The 320 is faster, more economical and usually more equipped, however the 300 will be cheaper to purchase and is less likely to be less problematic. As for the 220 CDI, the 150bhp and less torque from the 4 cylinder engines means that the engine will be under stress from pushing the heavy luxury barge and it’s not as well refined as the 6 cylinder. There are many Petrol versions to choose from in the UK such as the 240, 280, 320 and the 430. The 430 is the one to go for, main reason is the sheer value for money in the form of performance and optional extras. The only downside from choosing the 430 would be the slight miles per gallon drop from the 6 cylinder versions. Find performance figures for every W210 Model here.